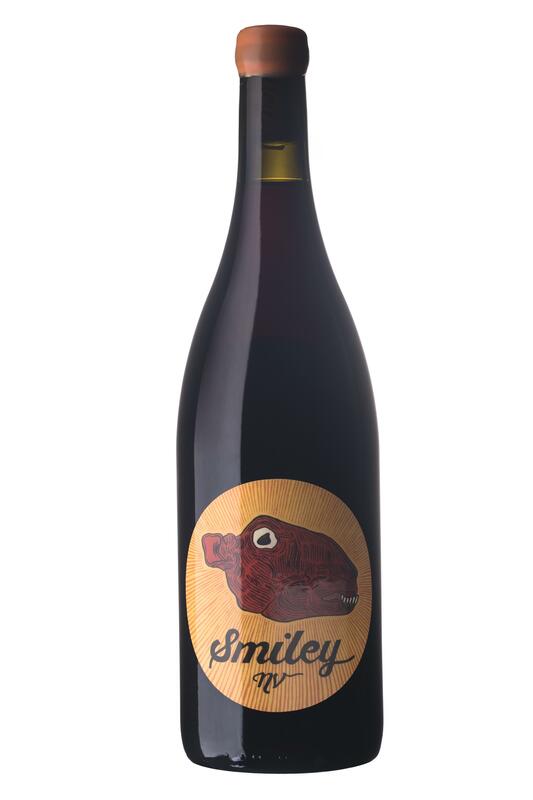 Winemaking Notes: The inaugural release of the Smiley Red is a blend of Cinsault (50%) Syrah (35%) Tinta Barocca (11%) and Mourvedre (4%) from three different vintages spanning 2014-2016. The grapes are sourced from parcels grown on various different Swartland terroirs: the Malmesbury clays, Kasteelberg schists and Paardeberg granites. The wines are fermented naturally in a combination of stainless steel tank and well seasoned wood foudres. The Syrah and Mourvedre were fermented partially de-stemmed with a medium length maceration before ageing in seasoned oak barrel while the Cinsault and Tinta Barocca were fermented as whole clusters and aged in stainless steel to preserve the fresh and bright fruit. The separate wines are tasted and then blended with the aim to bottle a wine that reflects bright, fresh red fruit balanced with savoury, earthy qualities of the grape’s various terroirs. Tasting Notes: The nose presents with a variety of high tone berry fruits of cranberry, raspberry coulis, redcurrant and blackberry balanced with spicy notes of smoked paprika, clove, star anise and white pepper. Mouvedre brings the tomato leaf and earthy qualities of iron and wet gravel to the forefront which add depth and complexity to the nose. The palate is rounded, concentrated and firm yet delicate and fresh with the Cinsault adding the lift and freshness to the wine and the Syrah the spice and depth. Deep notes of liquorice and clove are balanced by herbaceous rosemary, thyme and oregano with a firm cranberry tartness. The tannins are fine yet grippy with a long finish of violets, cured meat richness and blueberry fruit freshness. Drink now until 2022. Best paired with cured meats, hearty pastas, red meats, game and venison or to accompany a simple meal of fine cheeses, olive and a charcuterie platter. I’m presently drinking this wine in a restaurant (restaurant is named Orefon) in Laval, Québec, Canada, (near Montreal) with Wagyu beef….Wow, incredible. Thank you.